Executive Director Rob Schware talks with GreenTREE Yoga founder Yael Calhoun for The Huffington Post Blog to learn how a body-based yoga practice can help veterans begin to heal from trauma. Click here to read Yael’s thoughts on why the world needs lots of yoga teachers sharing what they love, and her tips for working with individuals who are recovering from trauma. 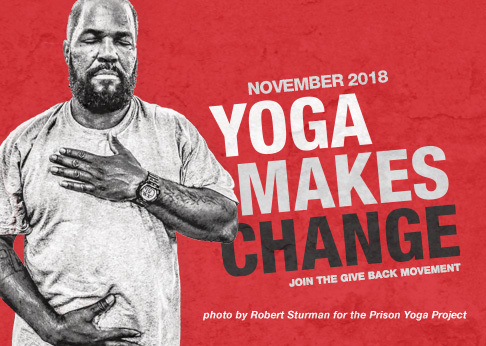 https://givebackyoga.org/wp-content/uploads/2019/04/givebacklogo-2019.png 0 0 c https://givebackyoga.org/wp-content/uploads/2019/04/givebacklogo-2019.png c2013-10-03 07:03:382014-09-05 11:17:43Yael Calhoun on Working With Veterans: "I Can Feel Myself Breathe"